To start off we have the video that probably brought you here. In the video we go through single SSD, multi striped SSD and combined NVMe and striped SSD tests, check it out! All benchmarks where performed on a Gigabyte Aorus AX37-Gaming-5 motherboard running the 5Fc BIOS. The 1700x was overclocked to 3.80Ghz with 16GB 2933Mhz memory. 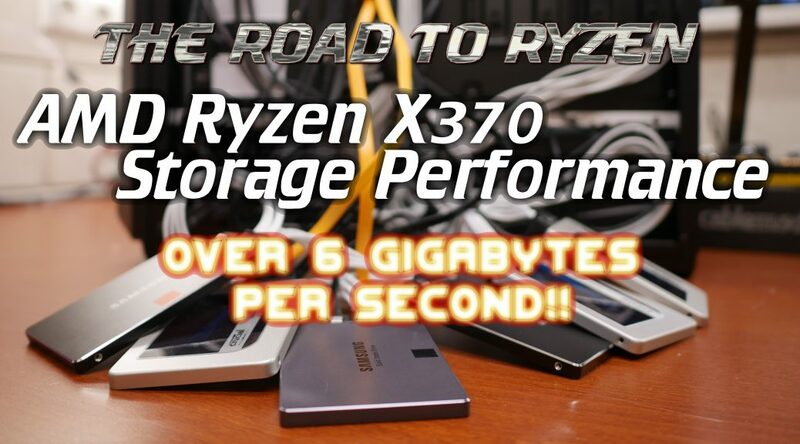 Additional to the video below are extra benchmarks. I tested multiple situations which I’ll highlight below. Be warned, lots of benchmarks incoming! 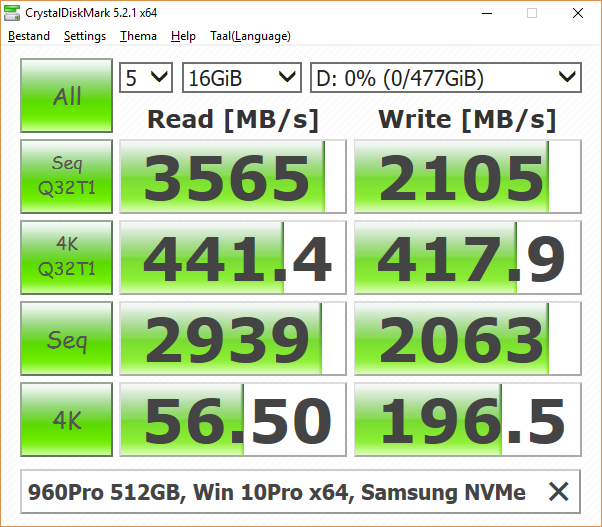 After installing the Samsung NVMe drivers write performance increases ten-fold! 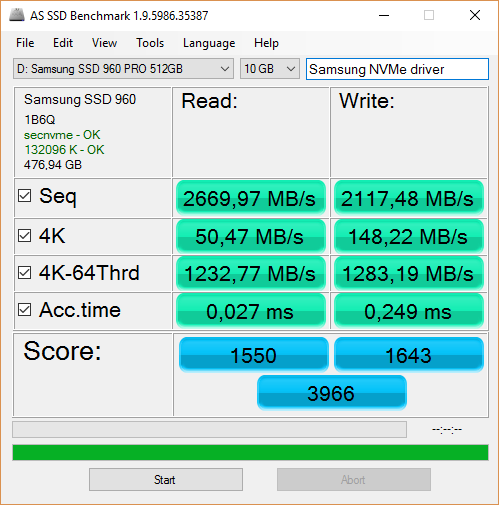 Massive improvements with the Samsung NVMe driver! AS-SSD also shows giant improvements! 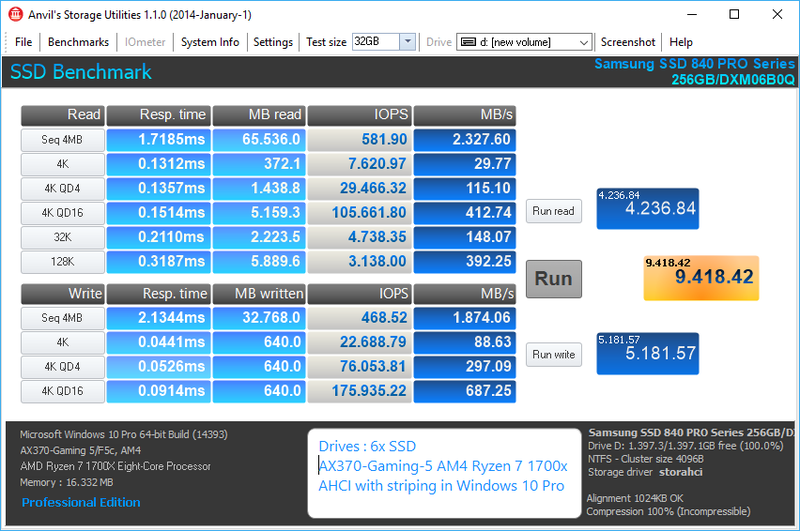 Here are some benchmarks with all the 6 SSDs in a stripe/RAID0 together. I tried multiple port configurations but it didn’t show any speed differences. Impressive performance, writes are even higher then the 960 Pro! Windows striping has been hit and miss in the past. But in recent versions and since AHCI has been on the latest revisions it’s actually become quite good! 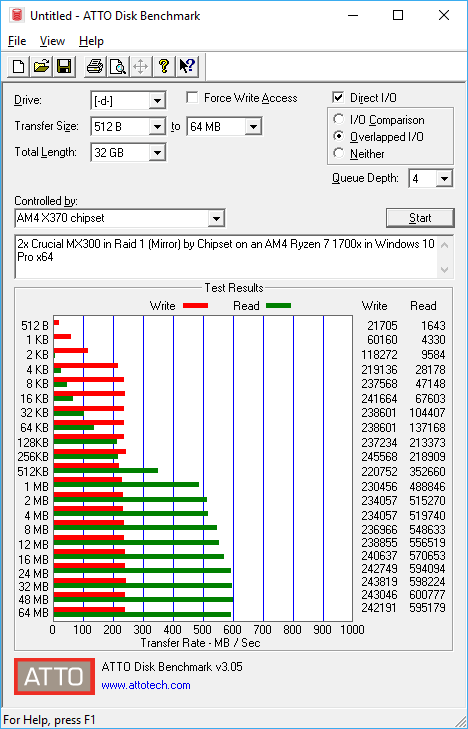 Anvil scores using Windows striping are higher then chipset RAID0! ATTO shows linear scaling per SSD you add. Great sequential write and read performance! To get some extra data security RAID1 or a mirror is often the best choice on a desktop computer. 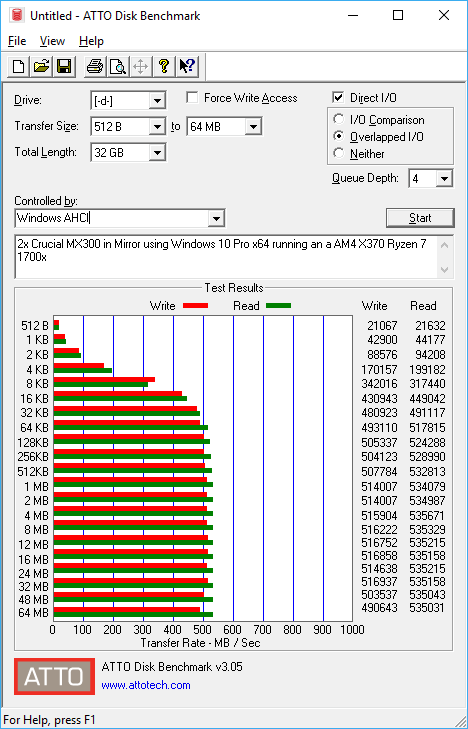 So I tested it both using the X370 chipest and in Windows using software mirroring. 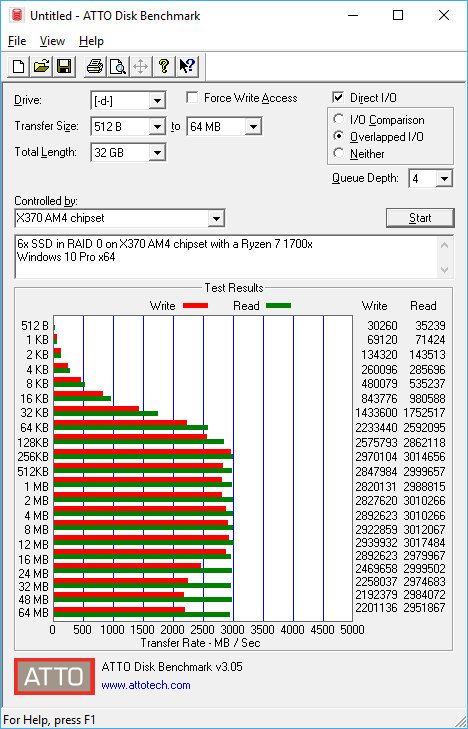 The chipset mirror/RAID1 didn’t do so well. Reads seem to do fine but writes show bad performance. Let’s see how well the software mirror does in Windows! 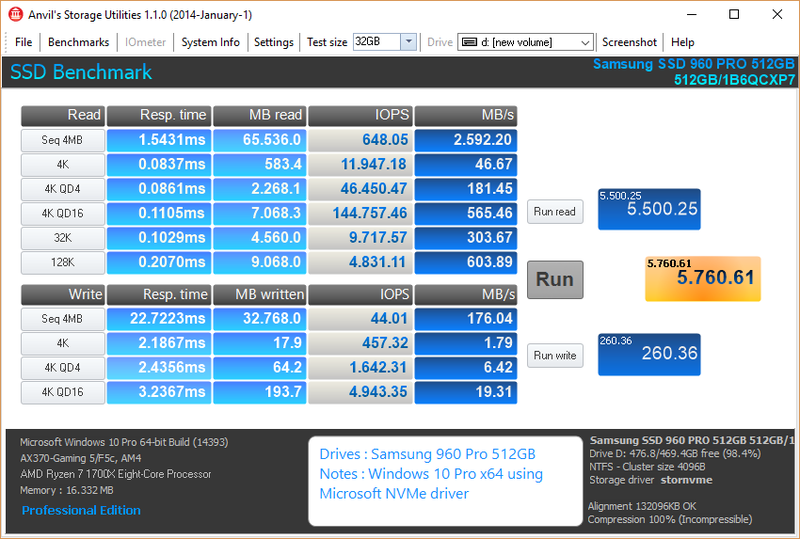 Read and write performance is the same as without using a mirror, excellent, much better then using the chipset! And that’s it. As you can see the chipset does pretty good in RAID0 but when using it for mirroring/RAID1 it falls flat on it’s face. On the other hand it does show that the AHCI performance is great. 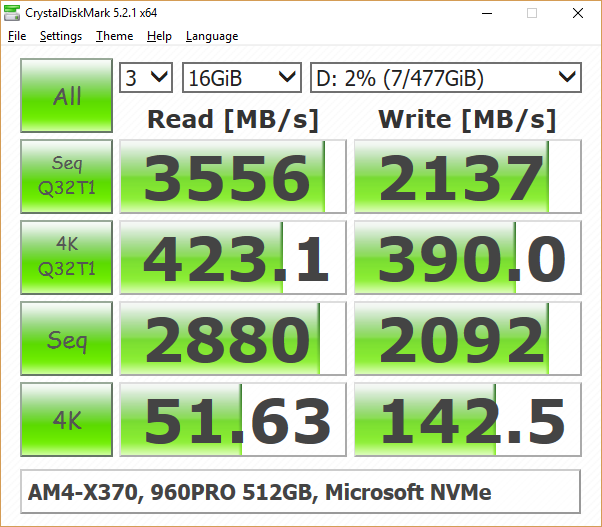 Also the NVMe drive and the chipset do not share bandwidth and the chipset has more then enough bandwidth available to saturate all SATA ports full performance at the same time. With the Ryzen CPU supporting ECC memory the AM4 X370 Ryzen platform makes an excellent base for a storage server! 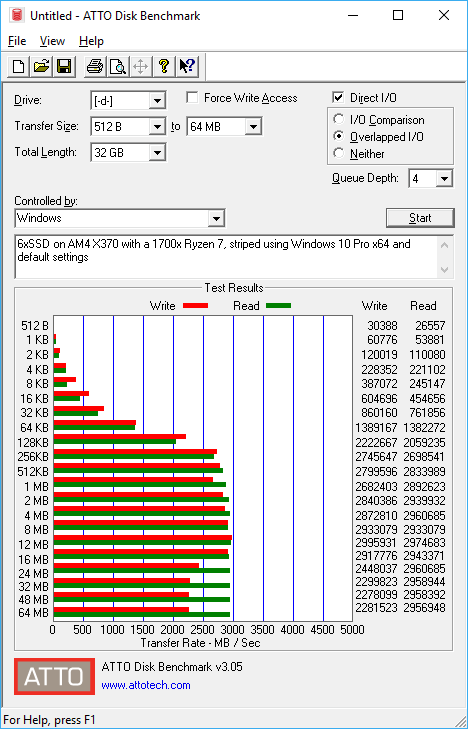 I have a very similar situation to the situation you were in when you were using the 960 Pro with the Windows NVMe drivers: I have the Samsung SM961 (the OEM equivalent of the 960 Pro, although there are apparently some technical differences between them) together with and AMD Ryzen 7 1800X and a motherboard using the X370 chipset. I also get terrible write performance. In fact, the numbers I get are almost identical to yours (before your driver switch). The trouble is that Samsung doesn’t provide any downloadable drivers for the SM961. A comment on the Tom’s Hardware review of the SM961 says that “the retail NVMe driver” “doesn’t work with the SM961”. So my questions are: Do you think the SM961 will work with the 960 Pro drivers that you used? Where would I even find the driver you updated to? Thnx for the comment! I wouldn’t know where to get a driver for the OEM part. Maybe check with Dell or Acer (or some other OEM) that use this drive in some of their laptops? They should have drivers available on their website. 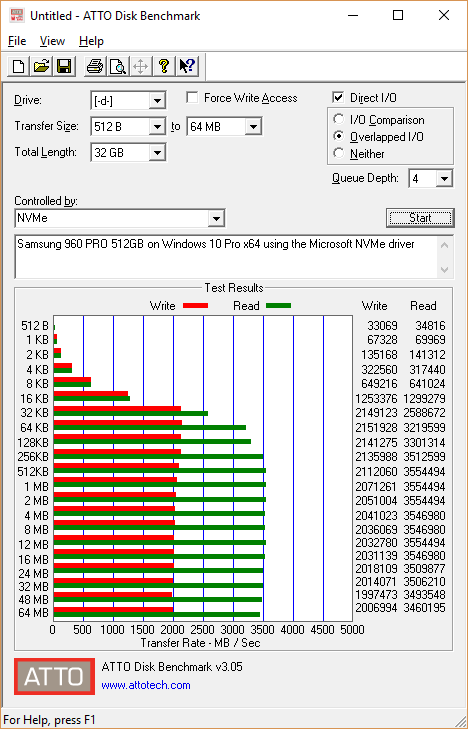 The Samsung 960 Pro NVMe driver is available on the Samsung website, it’s not hard to find. 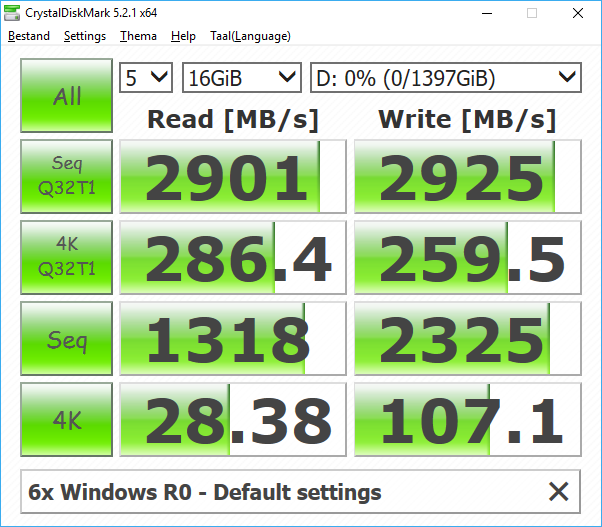 Also with two regular WD green 1TB the write speeds are very bad. What can i do with this situation ? I am using the raid driver from motherboard manufacturing. What is wrong ? I can’t find a proper driver. I have a Ryzen 1600 and a X370. I have a 3 drive Raid 0 with mechanical drives . Except the Sequential Write Q32T1 benchmark. I have the latest drivers 17.40 installed. I just wonder if a new rom or bios would help too for RAID EUFI rom. No, the reason you’re Q32T1 is low is because you are using mechanical drives, SSDs are 10x+ faster in that regard. Mechanical drives can only get reasonable sequential performance but even then they deliver only a fraction of a single SSD, even in RAID0. Only use mechanical drives for mass storage now a days.